You’ve been voting for your favourite artists and releases for the Shockwaves NME Awards 2009, now it’s time to find out who made the shortlist. Pick up this week’s NME, dated January 28, for this year’s official nominees announcement – and get voting now at NME.COM/AWARDS. The major battle is between Noel (seven nominations) and Alex (six). Who will emerge victorious on the night (February 25)? ’10 tunes you need to hear this week’. 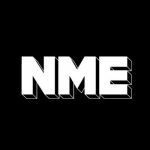 NME‘s Tracks section gets a makeover. Jay-Z salutes Obama live in Washington D.C.
And the trials and tribulations behind Franz Ferdinand’s third album. It’s all in the new issue of NME, on sale Wednesday January 28.